I have never had an experience as good as Hans Art when it comes to auto maintenance. They never screw up, and they're the best auto mechanic I've ever had. I've been going there for 20 years, and they've never made a mistake. Honest, reliable, great work, and they go farther than they need to, so they go above and beyond. Well, you know, they gave terrific service, they're friendly, honest, and they do great work. I don't say any of those things lightly, so any one of them could be the thing I liked the best. They were recommended to me by someone I used for years who died. They did an expensive job for me, and when they were done, they washed and completely cleaned out my car. When they give you an estimate, they don't go beyond it without calling you first and asking if you want it done. All of those things are really great. I think they run a great place. I think they're very good at what they do and very helpful. Occasionally, something would get messed up, but they're really very good. I really trust them, and that's the important thing. They really try and work things out with you. I trust them to be honest and fair in their pricing. They're just really nice people, and overall, they do a good job. Just how personable it is, it's like a family-run business. I feel like they're not going to screw me over. If they feel a part is too expensive for my car, because of how old it is, they'll try and find a quality used or discount part. They're always evaluating what will work out best. They have the expertise and the trustworthiness. They're very nice people, and that is a really winning combination. Hans Art has been fixing cars for four decades. 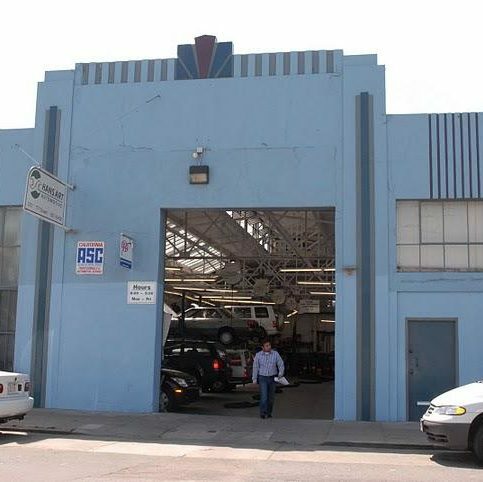 Hans Art Automotive is a San Francisco-based repair and maintenance shop that works on most models of German, Swedish, Japanese, and American cars and trucks. The company offers a variety of preventative maintenance services and handles everything from tune-ups, brakes and tires to fuel injection, air conditioning and electrical systems. When you bring your car to Hans Art Automotive, the work often begins before anyone even lifts your hood. It happens behind the scenes, with Hans Art’s technicians scouring your car’s repair history for information that could lead to a more accurate diagnosis–for example, a recurring water pump problem that might point to a faulty thermostat. That kind of thorough and attentive care is highly unusual among automotive shops, according to Hans Art, owner of Hans Art Automotive. It’s one of the reasons he commands such a high degree of loyalty among his customers, some of whom have been benefitting from his services for 35 years. Mr. Art is also a proponent of what he calls “transportation management.” Rather than evaluate a single repair against its one-time cost, he encourages customers to consider its value over the life of the car. Doing so, they often discover that diligent maintenance that keeps a car on the road for 15 or even 20 years is the most economical alternative by far, saving thousands of dollars in transportation costs. 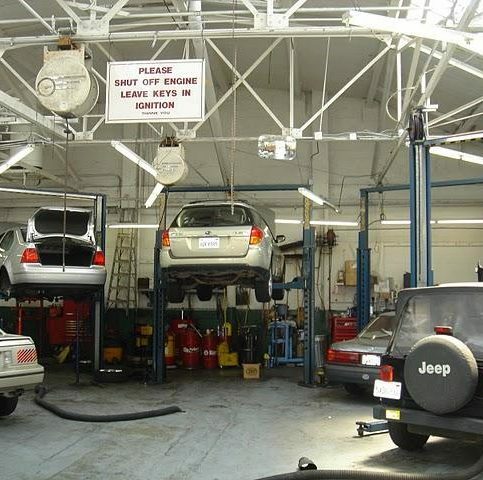 Hans Art Automotive understands the concerns that some people have about auto repair shops. Mr. Art stresses that they never have and never will recommend fixing something that doesn’t need fixing. “We are interested in helping our clients create a business-like attitude towards car maintenance,” says Mr. Art. The trust that has been built by running his business with the highest standards of honesty and integrity has garnered the myriad long-term relationships Mr. Art sites with pride. In addition, his sales staff does not work on commission, further guaranteeing that they are in no way dependent on your final bill. They will never use high-pressure sales techniques. Mr. Art truly believes it’s your car and your money, and that you the consumer are in charge. Hans Art Automotive uses only the highest quality new parts. It also offers a two-year, 24,000-mile warranty–even if that exceeds the manufacturers terms. What’s more, Mr. Art will often extend the warranty further if he believes a part failed prematurely. Most car dealers, by comparison, offer a flat one-year warranty. Local mechanics typically offer 90 days. In addition, they offer used and rebuilt parts for special circumstances. These parts carry more limited warranties. Hans Art Automotive schedules service and repairs primarily by appointment. This means that when you arrive with your car, a technician is there, ready to perform the necessary work. They also accept walk-ins whenever possible, striving for fast turnaround. They encourage customers to stop in any time for simple items like tire-filling and oil checks and changes. They send reminders about follow-ups and routine maintenance. They even offer access to low-cost loaner vehicles. 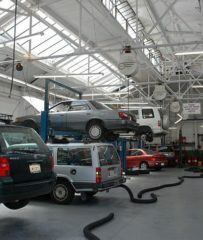 Extending these courtesies is how Hans Art Automotive has build its reputation as a community-minded business, what Art Hans calls “a family kind of place.” It also helped earn him AAA approval, “Best of the Bay” recognition from the San Francisco Bay Guardian, and high ratings from “Consumer Check Book” and the Better Business Bureau. 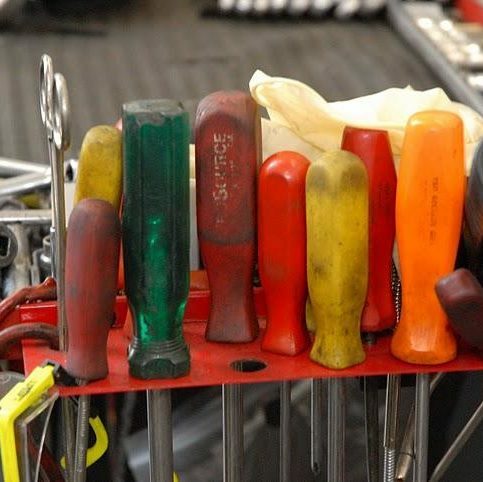 When choosing a mechanic, look for third-party validation. “First of all, get a referral from a friend. That’s No. 1,” says Hans Art, owner of Hans Art Automotive. He also recommends checking online rating sites such as Diamond Certified. “They should certainly not have complaints with the Better Business Bureau or the Bureau of Automotive Repair,” he advises. In the Bay Area, Diamond Certified designation is an extremely trustworthy indicator of quality, he says. He recommends giving preference to shops that are members of one or even several service associations. Also highly reputable: Approval from the Automotive Association of America, indicating a 90 percent or better favorability rating in each category of the AAA Auto Repair Service Questionnaire. Mr. Art also suggests asking direct questions about warranties. Insist on specific answers, not generalities. Best of all: a written warranty with clear terms, provided in advance and in writing. Q: Why does my car need repair? A: Cars are collections of components that wear out in a somewhat predictable way. It is normal for starters, batteries, brake pads and so on to fail during the course of the car’s life. Q: When do repair costs become more than the car is worth? A: Almost never. At $80-$100 per month (some makes may be higher), an older car is always cheaper to maintain than making a new car payment ($400-$500). Note: many people confuse the resale value of the car with its operating cost. It’s smart to keep them separate. Q: When should I get a new car? A: Consider a new car when you can’t fit your kids into it anymore; when the engine wears out; or when the annoyance factor gets higher than the $300 or $400 per month you’re not spending on a new car. Q: Do I have to fix it now? A: Often not. Many repairs can be postponed to fit your budget. If something’s an emergency, we’ll tell you. And we’ll send you a reminder in a few months. A: While our warranty on new parts is two years/24,000 miles, we try to ensure that hard parts will last at least five years. Hence our strong concern with and attention to parts quality. Q: What do you mean by quality? A: The first response is about parts; not all are equal. For a repair to last you want the best material available. Second is labor; the technician working on your car should have done this repair many times and have a professional attitude and superior training. Q: What if another repair shop quotes a lower price? A: Telephone quotes are inaccurate and misleading. Until your car has been looked at, no one can give a correct quote. 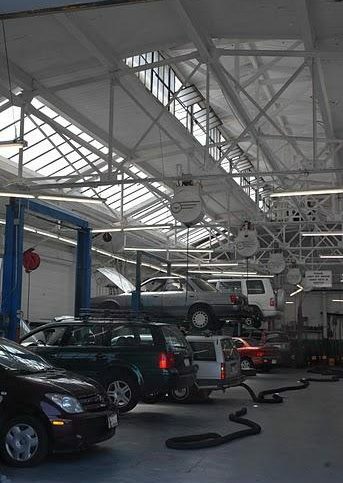 We offer pinpoint diagnosis and a guaranteed honest assessment of the status of your car. Q: How should I manage my older car? A: On older cars there are often multiple issues. They can often be done separately. But if done together you often save on labor because of time efficiency. We can advise you on this. A: We never rush our technicians. Plus we use only the highest quality parts, which may sometimes involve a slightly longer delivery time. Hans Art is a veteran of the auto repair industry and owner of Hans Art Automotive, a Diamond Certified company since 2002. He can be reached at (415) 938-6943 or by email. Outside of work, Hans engages in a variety of active interests and pastimes. “I enjoy reading, especially anything to do with science and history,” he details. “I also regularly attend symphony and opera performances, and I enjoy riding my bicycle around the city.” Additionally, Hans likes spending time with his wife, Linda, his children, Katie and Claire, and extended family members throughout Northern California. A: “The Making of the Atomic Bomb” by Richard Rhodes. A: I like both. I’m usually listening to either NPR or KDFC, the local classical music station. A: I’d take anything that comes with a chauffeur. 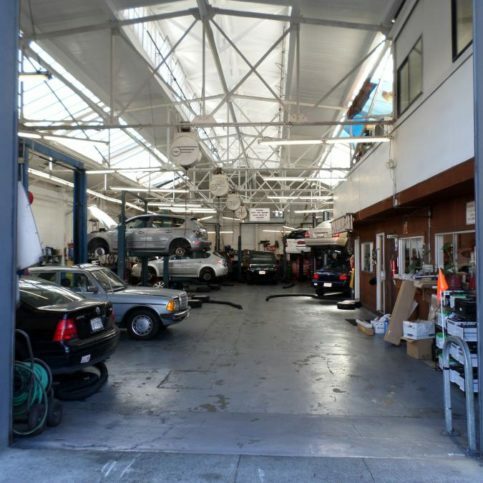 SAN FRANCISCO — Upon receiving an unexpected bill to repair your car, it’s understandable if you have an emotional reaction. You might begin to wonder if it’s time to trade your old vehicle for something newer that needs less maintenance. However, while it’s natural to have these thoughts and emotions, the cost of maintaining your current vehicle probably isn’t as high as it seems at the moment. This highlights one of the biggest problems of auto maintenance: its irregularity. You may go a year without paying for anything other than oil changes, and then suddenly you’re hit with an $800 repair bill. The problem is this doesn’t provide a realistic picture of the actual cost of maintaining your vehicle. To determine what vehicle maintenance is truly costing you, have your mechanic look over your invoices for the last five to 10 years, figure out how much you’ve spent and break this down into an average monthly cost. Vehicle owners are often surprised to find that their maintenance expenses aren’t as high as they thought (which helps calm their emotions over large bills). Generally speaking, the longer you can keep a car running, the less money you’ll spend overall. For example, maintaining a 15-year-old Japanese car typically breaks down to $75 to $125 a month, while an Audi or Mercedes-Benz will be closer to $200 a month. If this seems high to you, consider that the average cost of owning a new vehicle is closer to $300 a month, due to the fact that you’re making payments. So, as long as your car’s engine is OK and you have a good mechanic, you probably won’t overspend on maintenance. 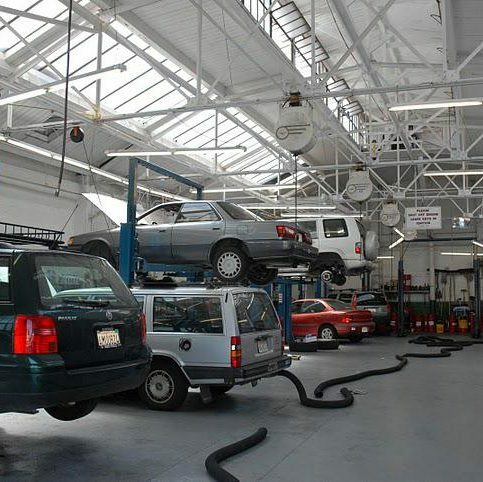 SAN FRANCISCO — Host, Sarah Rutan: If it seems like you’re paying too much to maintain your car, do some calculations—you might be surprised by what you find. Today we’re in San Francisco with Diamond Certified Expert Contributor Hans Art of Hans Art Automotive to learn more. Diamond Certified Expert Contributor, Hans Art: The best tip that I can give drivers is to take the emotionality out of dealing with repairs – and it’s very understandably emotional because you get an unexpected $800 repair that’s required. Have your mechanic figure out how much you spend, on average, every month over, say, a five-year period because the money you spend is so irregular that if you don’t look at it over a long period of time, it’s hard to figure out what you are doing. And, usually when the calculation is done, people are surprised with the fact that their monthly expense isn’t as big as they think. And it makes it much more rational. Generally, you’re better off, the longer you can keep a car running, the less money you spend all together. And, most of the Japanese cars with minimum maintenance will run 20 years, or more, and you’re way ahead of the game if you can do that. And, your mechanic is there to help you do it. Hans Art Automotive : Average 9.1 out of 10 based on 423 unique customer surveys of customer satisfaction. I have been taking my car to them for seven years, and I would tell people to absolutely go for it. It is a great value, and they are very honest. If I call them and need to get my car in quickly, they always try to accommodate me. They honestly try to educate you on the issues with your car. They don't just fix something that really isn't needed. They really help you make the right decisions. They have always been helpful, pleasant and positive. I have been with them for 2 years. I like the way he consults with me. He is really good at explaining things to me, what my car may or may not need. Also once a year he does an assessment of my car. They were very trustworthy and reliable. There's really not any one thing, but several things. They are very professional, friendly, and there were no hiccups. They were really convenient for me, very nice, and it was a good experience. They never talked down to me. You can definitely trust them. I would say, do it. I got to know Hans and all the people in the office, and I've trusted them for a really long time. The person at the front desk is really nice. They are really experts, and they care about you and your vehicle. They are very accommodating. They are really professional and just the ideal mechanics. I have been with them for 15 years now. They always let you know what is happening and if it is going to take longer, and I can't think of a better service. They are very professional, trustworthy, and I have used them for many years. Just that they're local, and I have a great relationship with them. He is a very fair and reliable auto mechanic. I work directly with Hans, and he is straightforward and upfront. He's just a great guy, and I have used him for many years. I've been taking my car to Hans for over 20 years, and I would tell people to try them. This is their field of expertise. They are extremely efficient or I wouldn't have brought my car back to them. I've been bringing my car to them for many years. They are great people with an honest business. They do excellent work, and they stand behind it. I have been using them for over 20 years. They make sure they work to make it right. You can really trust Hans. This is the third car we have brought to him. He is reliable and honest. They are people persons. From Hans to Sophia, they are great with customer service. They have even picked me up when my car went down. They treat women just like they treat men. They don't look down on women, or try to scam them. They are very honest. I have been taking various cars to Hans for 25 years. I would say the honesty stands out for me. I would say their honesty, and their expertise delivered in a friendly manner. They have a very deep understanding of the problems that can happen, and are great at explaining those issues.